Ermahgerd Candee Corms was what I wore on Halloween and it was perfect for that day. Lots of yellow and orange glitter in a milky base, this IS candy corn bottled. I used three coats for full coverage. 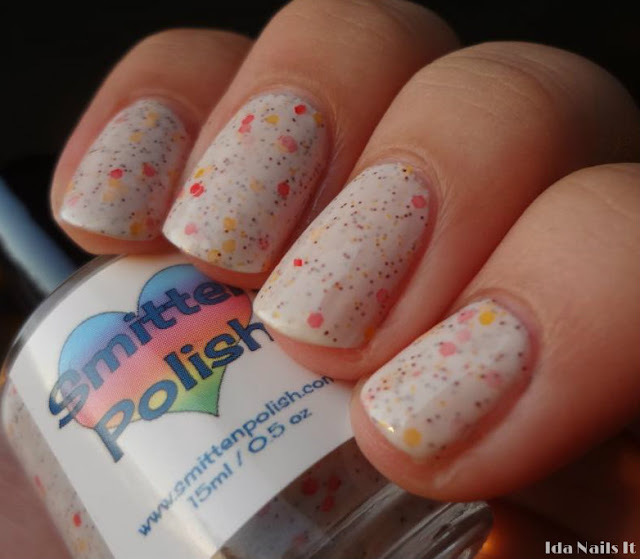 Smitten Polish Ermahgerd Candee Corms is available at Smitten Polish's Etsy store or at Llarowe.